Give another style to your christmas decoration with these new canvas stockings. These stockings are perfect to hold kids gifts. Give them more personality with the Style in Print designs. BEST FEATURES: This 100% cotton sewn canvas stocking with exposed edges is cuffed with cord hanger making of it the perfect addition to any mantle or staircase. Measuring 13.5" x 17.5" or 8.25"x9" this stocking is sure to hold an abundance of gifts (or coal). 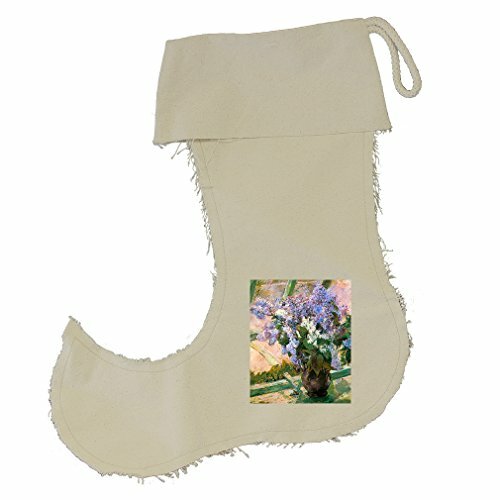 THE BEST FOR CHRISTMAS: Christmas only comes once a year, so why not make an impression with this whimsical style canvas stocking. Give to your christmas decoration a different perspective with this stylish stockings. Our Style in Print designs will match with all your family's members personalities. GOING GREEN: Cotton canvas accessories are perfect to reduce your footprint, The easiness to wash and clean them will help you to have an always excelent looking new and long lasting item.